Melaka have been very very windy these days. I don’t see any point to set my hairs at all before I go anywhere as it will ended up messy again once I stepped out of my house. Posted on January 18, 2009 by Jian Akiraceo. This entry was posted in Outdoor. Bookmark the permalink. Hehe yalo. yesterday was windy, sunny and cloudy. and I thought my post for today wasn’t funny..
it’s not only windy, it is also freaking hot out there. 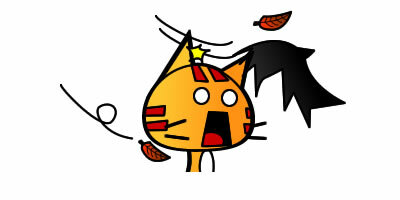 hahah, same goes to KL, windy in the morning, hot in the noon, and windy again in the evening. Reply: KL also windy ar? No raining over there? Haha! All along its wearing the wig. then normally ler? windy or not.. since KK is facing the big sea.. Reply:Same ar?? Aiks.. I dunno ler.. I have not been watching TV for almost 1 year LOL.. the last time I watch is CNY2008 XD when I’m back in Kuching..
whoosss… there goes da wig. ROFL. Its easy for a guy – just wear a cap lah! No need scared of wind. Reply: I can’t wear a cap..
Wei. havent you heard. use Byrlcream. 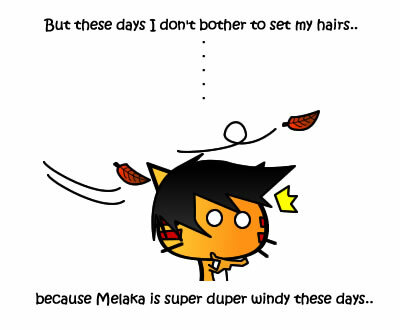 Reply: North Malaysia also windy ar O.o..
HAHHAHA seriously your hair will fly ah. i think windy is much more better than kl’s weather. Reply: Wahh @@ like that sure very sien lor.. getting the pants wet.. The weather is getting eccentric. Must be the ozone layer.